If you have a little girl like I do then you have more than likely seen Frozen a million times and have those songs from the movie stuck in your head. One song in particular comes to mind “Let it Go”!!. Every time I hear the song I can’t help but think of all the things that I need to let go. Why do we always worry and stress? It never does any good and never gets us anywhere. We grow older and cause more problems when we stress. 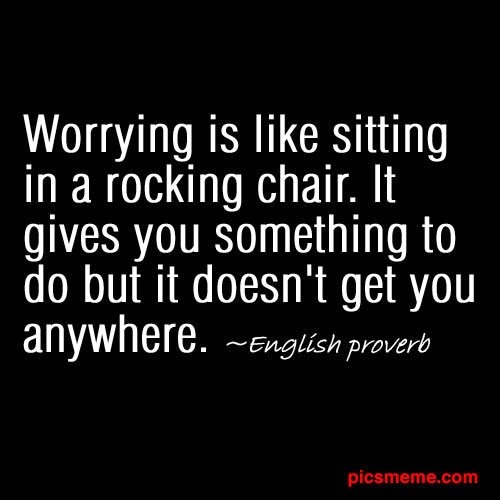 Like the picture above says Worrying is like sitting in a rocking chair. It gives you something to do but it doesn’t get you anywhere. I have found from experience that it does not do any good to stress and in the end God is always there to take care of us. He always provides exactly what we need exactly when we need it. So the next time you start to stress remember“LET IT GO”! So the next time you hear that famous song from Frozen – just like it says – LET IT GO!! 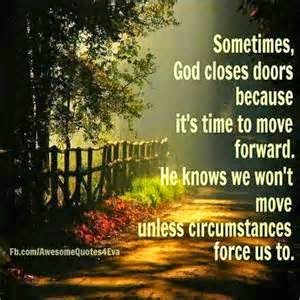 This entry was posted in inspirational and tagged Corinthians, emotional, frozen, life, mental, Psalms, spiritual, strength, stress, worry.